Rikki Stein is a longtime veteran in promoting African music, and a longtime friend of Afropop. He's probably best known for managing Fela Kuti back in the day, and for looking after his musical catalogue today. This week Rikki has asked us to help get the word out about a contemporary musical activist in a brutal conflict with an African government, this time in Uganda. We think our community should be aware of the plight faced by Bobi Wine. This is a letter Rikki sent to us. 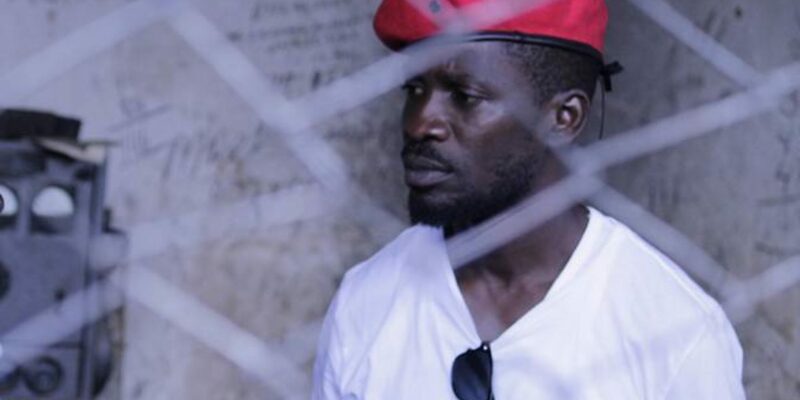 For those of you who may not know him, Bobi Wine is a hugely popular Ugandan singer who, for more than a decade, has used his music to raise issues of social injustice in the face of fierce opposition from the incumbent administration. In a country where 80 percent of the population is under 30, and 70 percent are unemployed, he has been nicknamed "The Ghetto President." Last year, Bobi went one stage further in his fight for human rights and stood for election as a member of parliament. He won by more than a landslide and is now the Hon. Robert Kyagulanyi Ssentamu. The battle continued with numerous arrests and harassment, despite his stature as an MP. Recently a hand grenade was thrown at his house. Fortunately nobody was injured, Here is a video of Bobi on the street with his followers, protesting at the imposition of a tax on the use of social media and a further tax on mobile money transfers. Police attempts to arrest him were thwarted by the public. On Monday, Aug. 13, Bobi traveled to Arua to support an opposition candidate in a bi-election as he has done successfully in several other provinces. Here is Bobi addressing a vast crowd of supporters. When the rally ended, the crowd dispersed. President Museveni was also there at a separate rally in support of his candidate. As the presidential convoy made its way to his helicopter it is claimed that some stones were thrown. The president was unharmed and continued to his helicopter. Following his departure the security forces made their way to Bobi's temporary HQ in Arua's Pacific Hotel. His driver, Yasin Kawuma, was sitting in a car parked outside the hotel. He was shot in the head at close range and killed. The security forces attributed his death to "a stray bullet." Bobi tweeted that they'd thought it was him. That was the last communication from Bobi. The security forces then ransacked the hotel, kicking in 22 doors and arresting many people including hotel staff and journalists as well as Kassiano Wadri, the candidate whose election bid Bobi had come to support, and three other opposition MPs. They claim to have found two sub-machine guns, a pistol and ammunition in Bobi's room. Bobi and Kassiano Wadri were charged with treason and were to be tried by a military tribunal. Despite the efforts of his lawyers and family to locate him, Bobi's whereabouts remained unknown until morning. On Thursday he was produced at the tribunal. His face was badly swollen and he could neither talk, see or walk, so vicious was the beating he'd received. The charge was reduced to that of illegal possession of weapons and the case was arraigned until next Thurs., Aug. 23 with Bobi remaining in custody. I'd met Bobi and his driver Yasin two weeks ago while I was in Kampala and was deeply impressed by his courage and determination, and witnessed at first hand, before a vast crowd, the depth of his popularity. He'd made it clear to me that he intended to stand for the presidency of Uganda in the 2021 elections. Over the next couple of days I propose creating a letter to which will be appended the signatures of multiple distinguished individuals, pleading for Bobi's immediate release from custody. Please forward names to me that can be appended to that list and meanwhile feel free to distribute news of this tragic situation as widely as possible but, please, don't make this about me. The letter that I send out will hopefully bear the names of his lawyers who I'm presently trying to contact. At the same time as Bobi appeared before the tribunal, the results of Wednesday's bi-election were announced. The candidate, Kassiano Wadri, who Bobi had come to Arua to support, had won. He also remains in custody, still charged with treason. Rikki then sent us the following letter with the note: "This just came in. 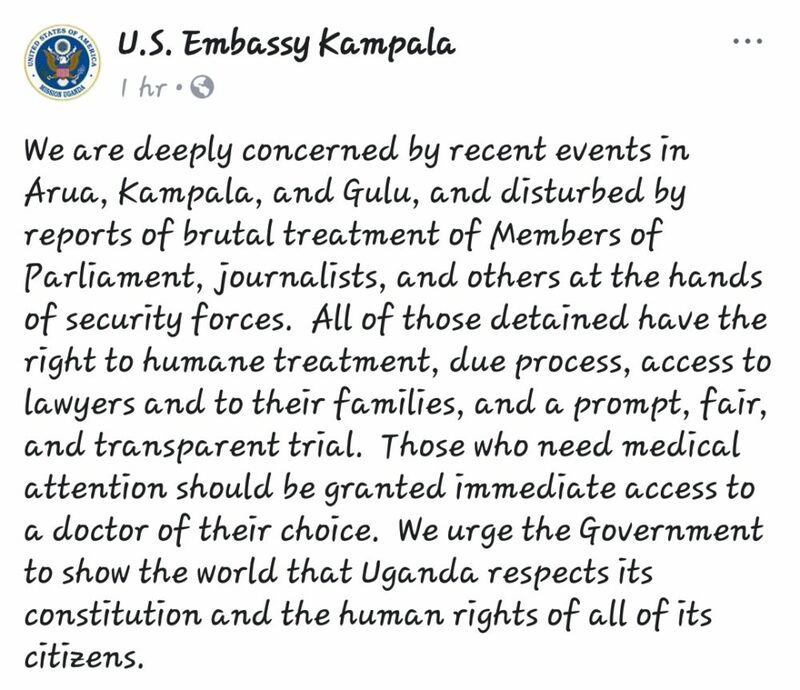 Please contact your embassies in Uganda, urging them to write a similar letter."